You don’t have to spend too much to get a quality used car under $15,000 near Arvada. That’s because Fisher Acura has an impressive inventory of used cars for sale between $10,000 – $15,000 at our dealership in Boulder, CO. Choose from popular luxury models like Acura and BMW, as well as other first-rate brands like Toyota and Honda. We offer competitive financing on all our used cars, and you can reach us directly for more information or to set up a test drive of the model of your choice! 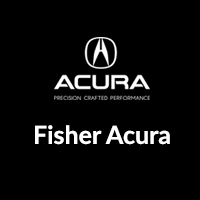 When it’s time to buy a used car near Thornton, remember the impressive inventory of luxury cars, SUVs, and more under $15,000 at Fisher Acura in Boulder, CO. While you’re browsing for affordable models, take the time to explore our new vehicle specials for surprisingly low prices on new Acura models. Stop in and see us Monday through Saturday, or give us a call at (303) 245-6418.